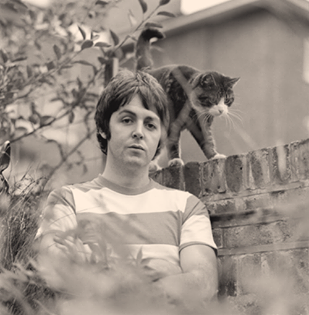 The remarkable Paul McCartney celebrates 64 and 7 today. Not only does the former Beatle’s musical output and stamina continue to amaze, but 50 years after his first visit to the United States his appearances around the world still make headlines. While it’s easy to find out the salient facts of Mr. McCartney’s life, his role as co-author of a children’s book may be less well-known. 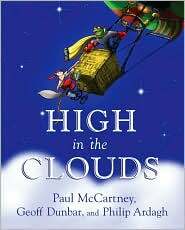 High in the Clouds (2005), Mr. McCartney's debut effort in the field of children's picture books was written with Geoff Dunbar and Philip Ardagh, and illustrated by Mr. Dunbar. When Wirral the Squirrel is forced to leave his woodland home, destroyed by the expansion plans of the evil Gretsch, he vows to find the fabled land of Animalia, where all the animals are said to live in freedom and without fear. Aided and abetted by Froggo the hot air-ballooning frog, Wilhamina the plucky red squirrel, and Ratsy the streetwise rodent, Wirral’s personal quest turns into a full-blown plan to save enslaved animals everywhere – a plan which is fraught with danger. A review from Publishers Weekly can be found here. RD for bringing this image to my attention.